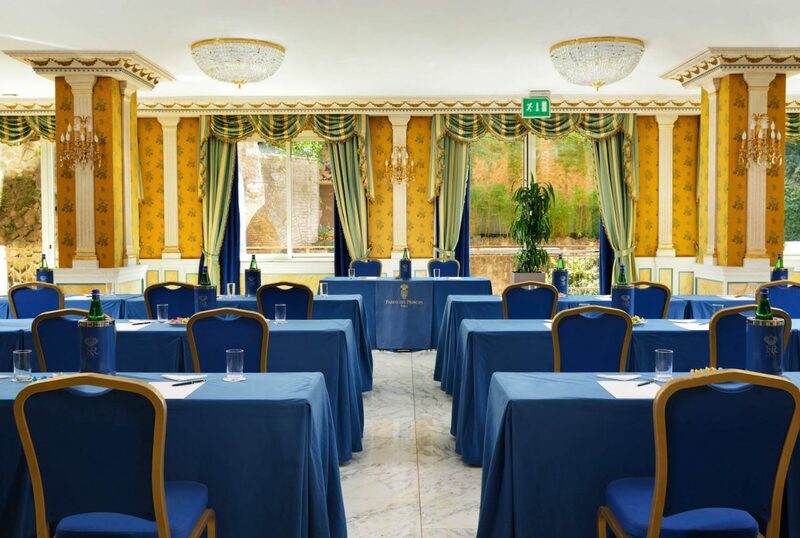 Choose your space, the room that best suits your special needs: meeting, coffee break, product launches, business events and private ceremonies. Not only, but you will have all the expertise and passion of our team of professionals at your full disposal! This room measures 98 sqm and has a 5 m high ceiling. It can host up to 40 people seated audience and cabaret style, and 60 to 70 seated theatre style. It is equipped with Wi-Fi and all the technological, audio and video systems needed for any type of set-up. A large, modern, multi-functional space equipped with all of the most advanced technology and cutting-edge systems. Suited for any sort of conference or event hosting 450 people, it is a modular, flexible room that will meet your personalisation needs and that of your guests. This room measures 120 sqm and has a 5 m high ceiling. It can host up to 50 people seated audience, 40 cabaret style, and 70 to 80 seated theatre style. It is equipped with Wi-Fi and all the technological, audio and video systems needed for any type of set-up. This room measures 98 sqm and has a 5 m high ceiling. It can host up to 50 people seated audience style, 40 cabaret style, and 70 to 80 seated theatre style. It is equipped with Wi-Fi and all the technological, audio and video systems needed for any type of set-up. 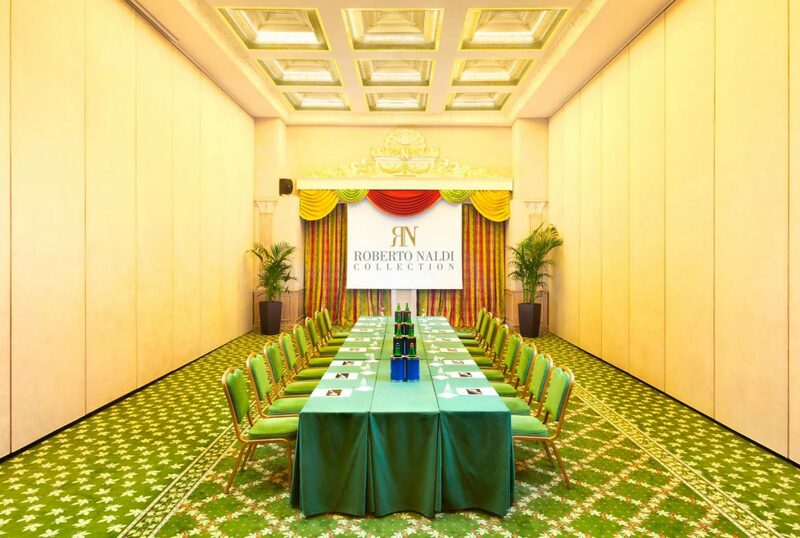 Graced with natural light and an independent entrance, this room can host up to 900 people seated audience style. 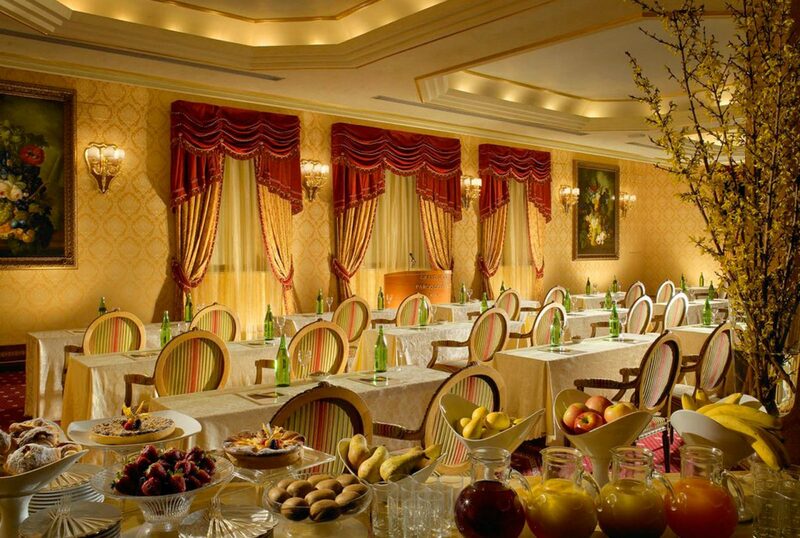 The ceiling is 5 m high and the room is bright and airy with large picture windows overlooking the Italianate garden of the hotel. It measures 115 sqm and can host up to 40 people seated theatre style and 70 audience style. Located on the first floor of the conference centre, the ceilings are 3 m high and it is equipped will all the cutting edge technology needed for any type of event and to satisfy every need. It measures 86 sqm and can host up to 30 people seated theatre style and 60 audience style. 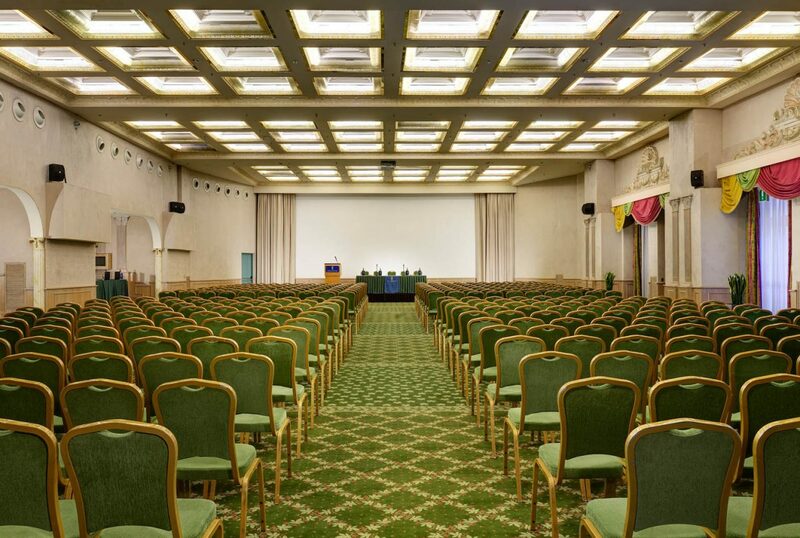 Located on the first floor of the conference centre, the ceilings are 3 m high and it is equipped will all the cutting edge technology needed for any type of event and to satisfy every need. 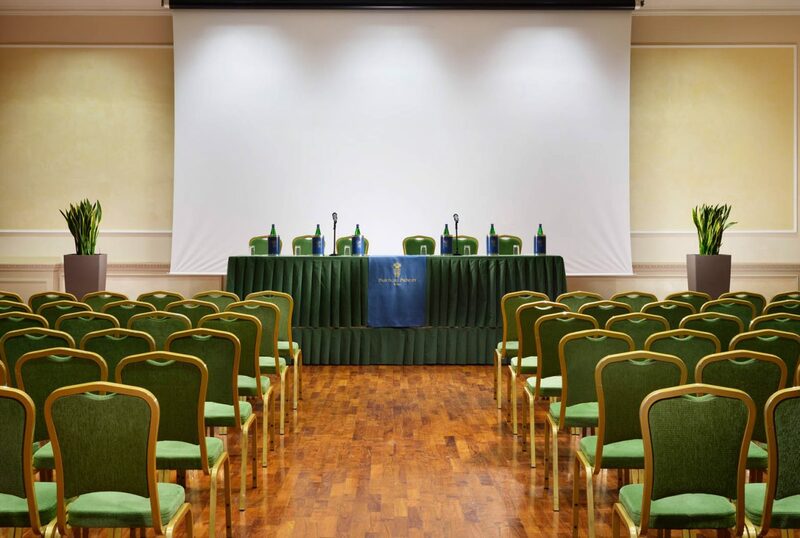 Located on the first floor of the conference centre, it measures 450 sqm and can host up to 400 people seated theatre style but can be expanded and connected with the three adjacent meeting rooms. The space is flexible and adapts itself to all types of set-ups, with a unique view over the ancient Roman ruins. 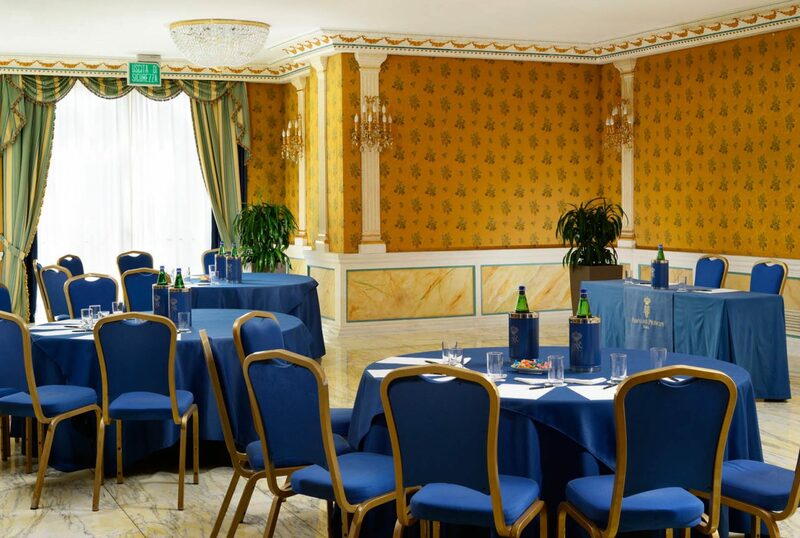 Located on the lobby level of the conference centre, it measures 172 sqm and can host up to 50 people buffet style (seated or standing), 60 for seated meals and 80 for a cocktail party. 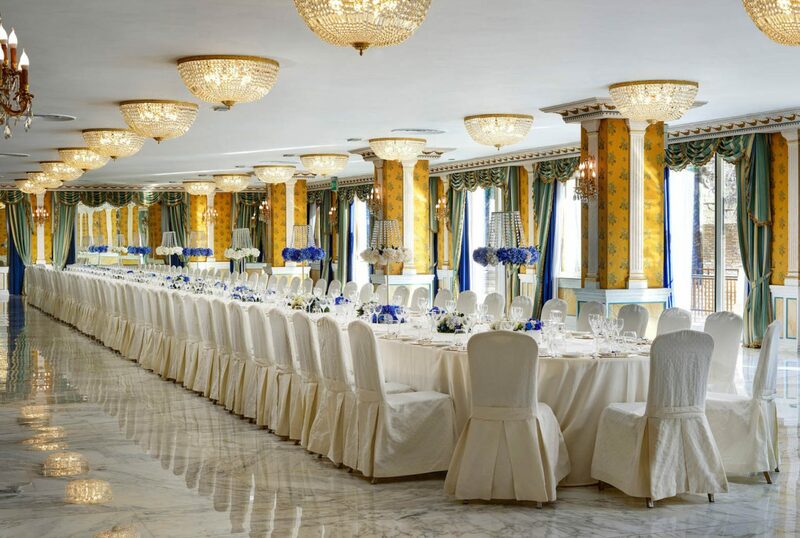 The room can be personalised for events, ceremonies and banquets and adapts itself to meet the needs of the guests. 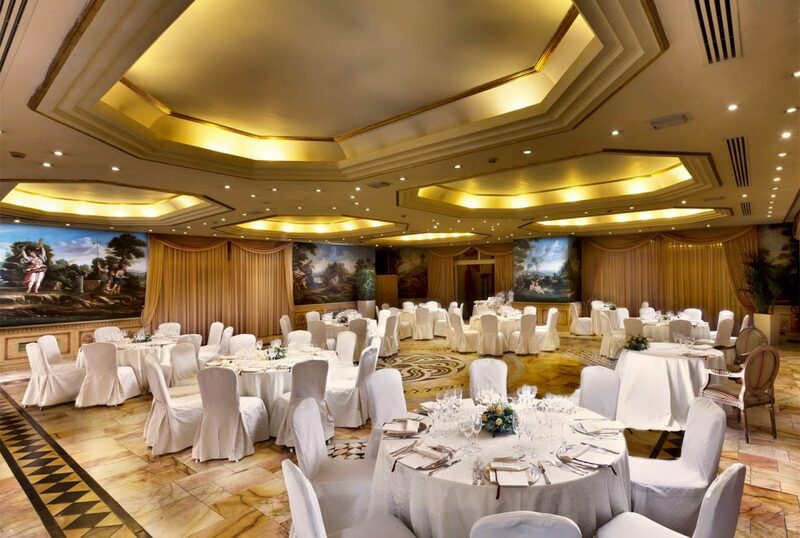 Located on the lobby level of the conference centre, it measures 199 sqm and can host up to 100 people buffet style, 80 seated and 90 for seated meals. 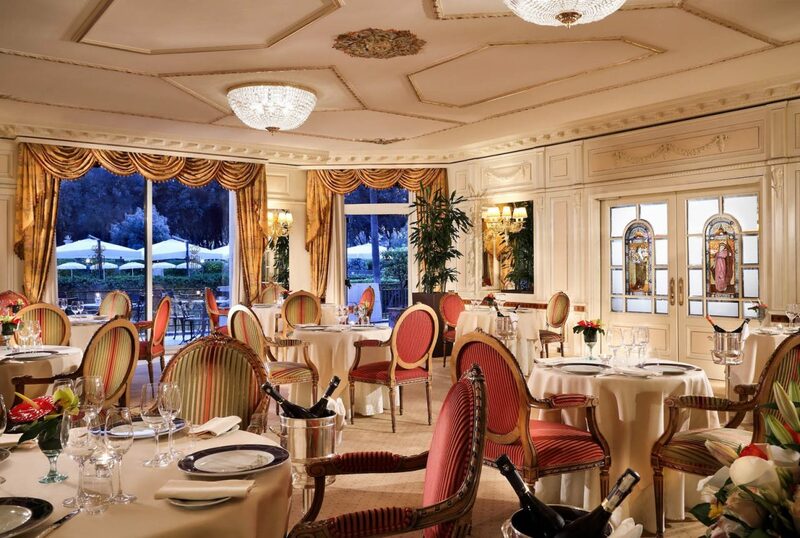 The room can be personalised and adapts itself to meet the needs of the guests. 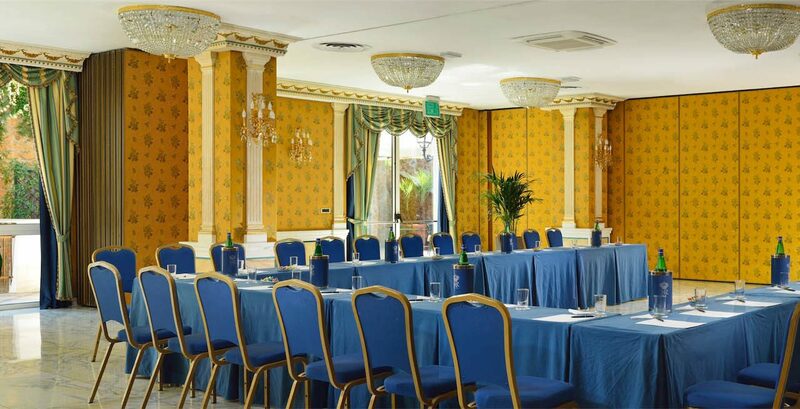 Located on the lobby floor of the conference centre, it measures 246 sqm and can host up to 130 people buffet style, 100 seated and 120 when set up for seated meals. The room can be personalised and adapts itself to meet the needs of the guests. It measures 35 square metres and is located on the lobby floor. It can host up to 30 guests seated theatre style. Equipped with Wi-Fi, it is a flexible space that can be personalised for small meetings.